We offer Sound Proof Enclosures. Our range also comprises Sheet Metal Parts and Powder Coating Services. Owing to our expertise, we are manufacturing, exporting and supplying of Metal Sound Proof Enclosures. We use high density material for the sound proofing of the enclosures of canopy. Our expertise for degreasing, phosphating and also perform powder coating/ paint to give these acoustic enclosures perfect finish. 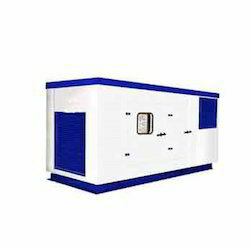 These enclosures are mainly used to prevent extra noise from Generators, Compressors,Vaccume Pumps and Machines disturbing the work process in organizations across the globe. Finish: whether Proof For Long Life. Sound Level: As per Permisible norms of Government.